The 2011 Dodge Charger is a full-size sedan featuring the R/T MAX trim level with a 5.7-liter HEMI® V8 engine that produces 370 hp & a 5-speed automatic transmission. Safety is comprised of anti-lock braking, front/rear head airbags, dual front side-mounted airbags, emergency braking assist (BA), engine immobilizer, stability control (ESC), traction control (TCS), electronic brake force distribution (EBD), and brake drying. Features include hill start assist, remote start, HID headlamps, Garmin® navigation, rear back-up camera/park assist, blind spot monitor & adaptive cruise control. 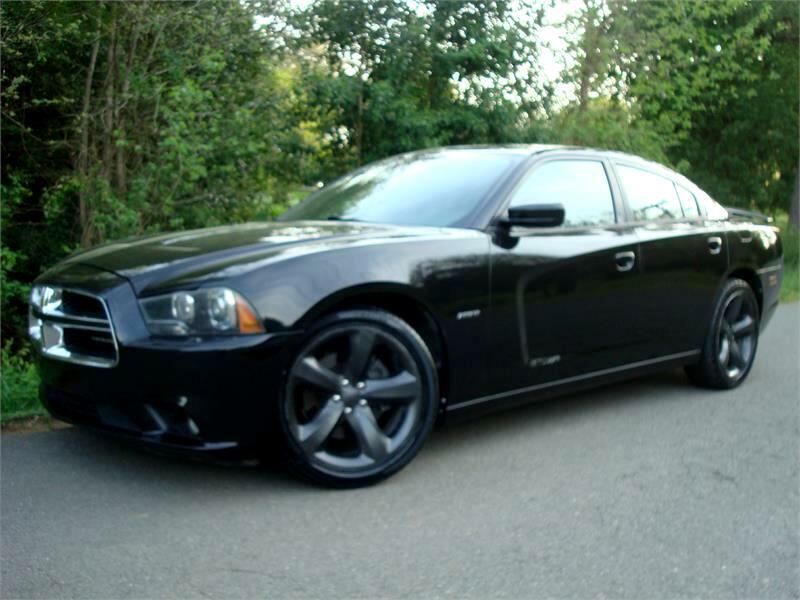 This Charger comes in beautiful phantom black pearl over black heated leather seats featuring 20 inch rims & rear spoiler. Other options featured is the navigation system, sunroof, blind spot monitor & Alpine audio system!